A list of the best Keyblades in Kingdom Hearts 3, as well as the recommended weapon progression for Sora during the main story. 1 Ultima Weapon The series’ strongest Keyblade is an unrivaled choice, boasting 13 Strength / 13 Magic base stats in addition to giving Sora access to the Ultimate form. 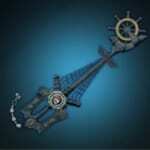 2 Classic Tone A Keyblade that has impressive Magic power with reasonable Strength levels. Classic Tone’s Magic even surpasses that of Ultima Weapon when fully upgraded. 3 Wheel of Fate Second only to Ultima Weapon in terms of Strength, the Wheel of Fate is an extemely versatile weapon. It does however have low Magic power. 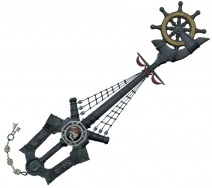 4 Nano Gear Trailing the Wheel of Fate in terms of Strength, the Nano Gear makes up for this by being a well-balanced Keyblade. 5 Crystal Snow The next choice after Classic Tone when focusing on Magic. 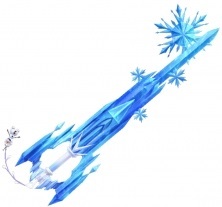 Crystal Snow is best used when focused solely on casting spells as it has poor Strength compared to other Keyblades. Favorite Deputy is obtained after clearing Toy Box during the main story. The Keyblade boasts good Strength, allowing enemies to tackle enemies encountered early on. Favorite Deputy formchanges to Boost Hammer and Drill Punch. The first is extremely effective in dealing with multiple small targets clustered together due to its wide attack range. Drill Punch allows you to perform airborne attacks and is suitable when fighting bosses that hit hard. The Keyblade has Luck Up, which is useful for getting better item drops from enemies. Crystal Snow is obtained after clearing Arendelle. 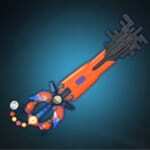 In its base form, it has the second highest Magic power of all the Keyblades after the Classic Tone and Ultima Weapon. To compensate, the Keyblade allows you to attack enemies from afar and is very easy to use. The Crystal Snow formchanges to the Blizzard Claw and Blizzard Blade. Blizzard Claw is good for unleashing combos on enemies, while Blizzard Blade enables you to perform a full-body attack using ice razors that materialize in Sora’s arms and feet. 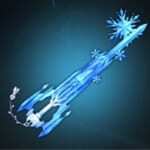 The Keyblade can also freeze enemies in their tracks thanks to its ice properties. When equipped, Crystal Snow grants you Freeze Protection that renders you immune to being frozen. Wheel of Fate is obtained after clearing The Caribbean. 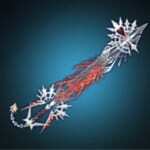 It has the second highest base Strength level in the game, only bested by the Ultima Weapon. 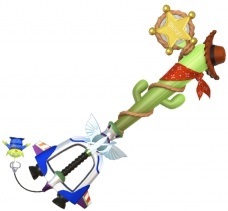 Having a decent amount of Magic power makes this Keyblade one of the most versatile weapons in your arsenal. The Wheel of Fate formchanges into the Highwind and Storm Flag. The two modes grant you increased attack range, with Highwind behaving like a spear-type weapon and Storm Flag honoring its namesake when swung at enemies like a war banner. Keyblade Abilities and Formchanges can be activated with Situation Commands during battle, though certain attacks can be used outside the normal conditions.